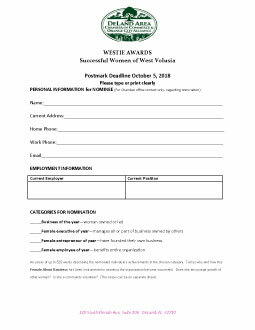 Please download your application today to nominate someone for the 2018 Westie Awards. Deadline for submission is October 5, 2018. For more information about eligibility call the DeLand Area Chamber of Commerce at 386-734-4331. Click here to enlarge and print.